Somepony new came to visit today. Yay. 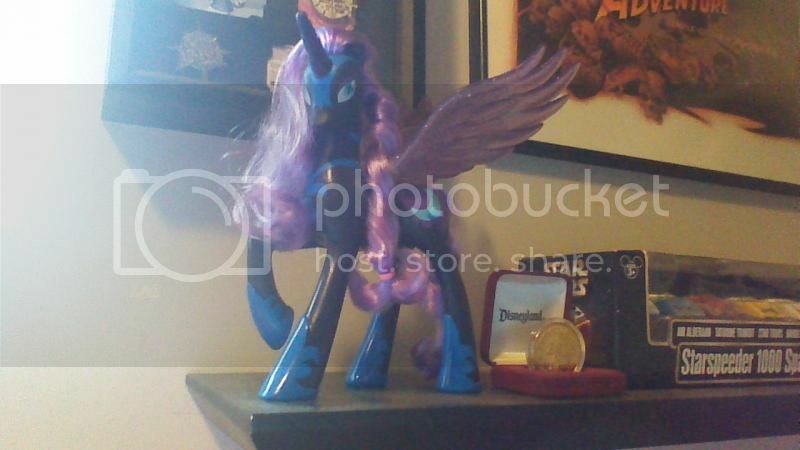 Sadly, I missed out on the Shadowbolt Rainbow Dash. *gasps* Princess Moon has arrived! Huzzah! Is that an Indiana Jones poster I spy?